Last year, I lamented Cricket Australia’s refusal to implement an anti-homophobia policy and I’m VERY happy to report that they’ve since made a complete about-face. Cricket Australia Chief Executive Officer James Sutherland acknowledged all sports still had much work to do to tackle homophobia and CA was committed to doing so. This follows the release of the Out on the Fields study that showed 80% of those surveyed had experienced homophobic abuse on the playing field. I am one of them. It was disappointing to see that a fear of being bullied and being discriminated against by coaches and officials is keeping so many lesbian, gay and bisexual youth in the closet. Everyone involved in sport must work toward ending homophobic behaviour. Through education and our actions we can tackle the behaviours uncovered through the study. 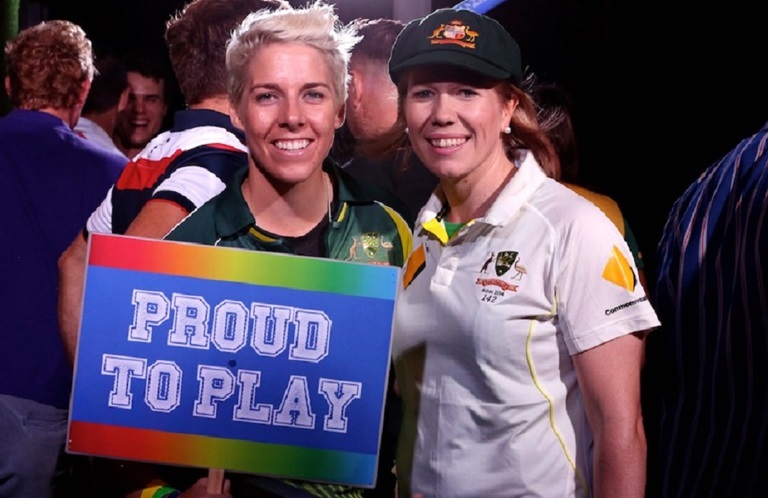 Cricket Australia signing that document made me feel that I am not alone… that Cricket Australia also wants to improve the culture of inclusion and respect so that gay athletes can be themselves and strive to the highest levels of their sport. What Can We Do to End Homophobia in Sport? Simple, if you hear something say something. Just like David Pocock. Dead set legend. As players, we’ve said the Brumbies aren’t going to tolerate any homophobic slurs, I just made that clear to the referee that it’s unacceptable. You can be the toughest man in the world, but it’s got nothing to do with using that sort of language. I certainly haven’t heard much in the last few years. I guess in the last year or two Australian rugby has started to address, and rightly so from Bill Pulver right down, that there’s no room for homophobic language in our sport and we want to make it inclusive. Where you start is quelling out that sort of language. I didn’t hear it myself, I was just making the referee aware of it so he could act. Our job as players is to quell it out. That’s what we did, I don’t think it should be a witch hunt. It’s about educating the players and ensuring that rugby does become more inclusive.